I created this card to play along with a challenge for my Fall Fest On-line Class. The class is officially over but you can still purchase the class and get 14 fabulous and cute projects with step by step photos in a downloadble PDF along with Video Tutorials! I love making these little cards they are so much fun!! My base is a piece of Very Vanilla card stock. I cut a piece of Early Espresso card stock and then ran it through the Big Shot with the Woodgrain Embossing Folder. I cut 2 different pieces of Orchard Harvest Designer Series Paper glued them to the Early Espresso card stock. I cut a piece of Very Vanilla card stock. I took the leaf stamp from the Day of Gratitude Stamp Set; inked in Lucky Limeade and stamped onto the Very Vanilla card stock on the left side and bottom. I took the saying from the Day of Gratitude Stamp Set; inked in Cajun Craze and stamped onto the Very Vanilla card stock in the center. I then took the leaf stamp from the Day of Gratitude Stamp Set; inked in More Mustard and stamped onto a piece of Very Vanilla card stock. I took the stamp again and inked in Cajun Craze and stamped onto a piece of Very Vanilla card stock. I cut both leaves out and attached them to the left side with Stampin' Dimensionals. I wrapped some 1/2 More Mustard Scallop Dots Ribbon and Lucky Limeade Baker's Twine around the bottom of the layers of card stock. 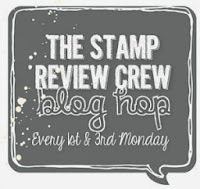 I then attached all the layers to the front of the Very Vanilla card with Stampin' Dimensionals. To finish it off I added a Naturals Designer Button with a Lucky Limeade Baker's Twine Bow. I placed some Pearls Basic Jewels in the upper right hand corner.